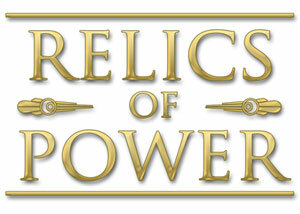 Relics of Power: Final Voting! Now that you have a veritable trove of relic goodness awaiting you, you must pick one — only one — item from it. 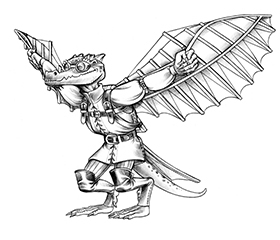 You see, you all have the power to choose the item that the kobolds will make available in the next issue of Kobold Quarterly. Yes, many fine artifacts arrived for appraisal, and if you haven’t yet looked at them, now is the time! Those of you who have already peered closely at these artifacts can jump in and vote right away: Go to the KQ Forums and vote for your favorite entry from Relics of Power! Of the ten finalists, the one that receives the most votes will receive the title “Relic of Power” and will appear in the next issue of Kobold Quarterly, fully illustrated. Who will you vote for? Thank you, everyone, for entering the contest! On behalf of the judges and KoboldQuarterly.com, we had a great time doing this contest. Please, show your support of events like this by voting for your favorite artifact. Voting ends this Friday (07-29-11).